"Wearing the red" at annual Red Out events is a long-standing tradition at Dickinson, and it shows our sports teams that you're ready to support them till the final buzzer. 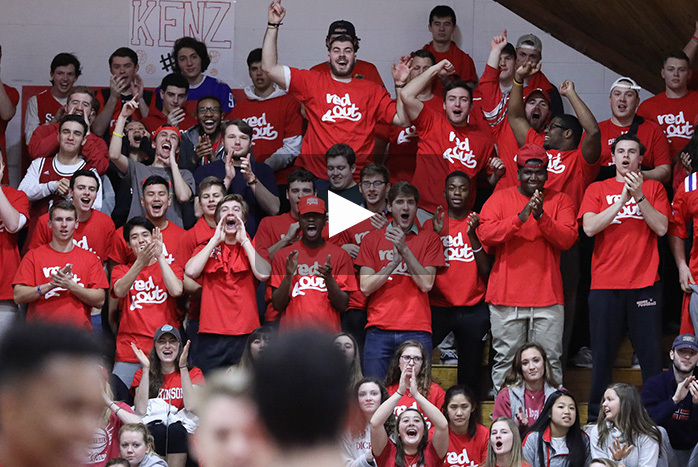 So on Saturday Feb. 9, 2019, come out to the Kline Center for the latest Red Out and support your Red Devils basketball teams by wearing your red! The women take to the court at 2 p.m., and the men hit the hardwood at 4 p.m. Show our teams your school spirit, and keep the tradition alive!